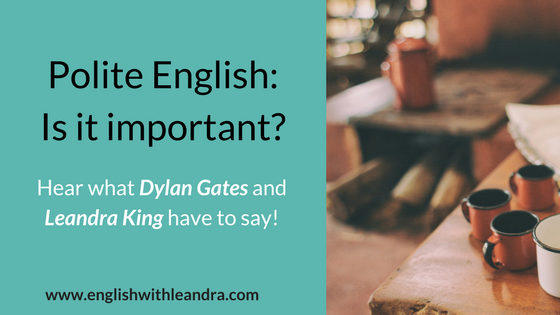 Polite English: does it matter? Does it really matter if you are polite in English or not? How does being impolite or not polite enough affect you? These are questions that will be answered in this blog post. However, before we can even begin to discuss the importance of politeness in English, we first need to establish what exactly constitutes politeness. According to the Oxford online dictionary, politeness is defined as “behaviour that is respectful and considerate of other people”. The Merriam Webster online dictionary goes on to show that being polite is “having or showing good manners or respect for other people” or being “socially correct or proper”. It is important to note that standards of politeness vary from culture to culture, even among some English-speaking countries. Therefore, what is polite in your culture might not necessarily be polite in English-speaking countries. Politeness involves many aspects of our daily lives. In what we say, we can show politeness by being considerate and sensitive to other persons’ feelings. Question 1: Why is it important to be polite in English? 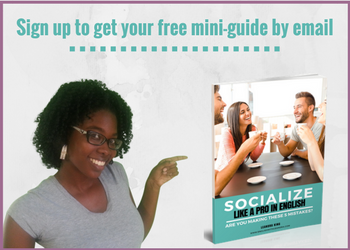 “Polite English is crucial to helping you fit in with native English speakers and feel integrated when you live or work with them. “First impressions count, which is why you need to make a good impression when you meet somebody for the first time. While it’s important to be friendly and open, you should also show respect to the other person, and being polite is the way to do so. Politeness varies between cultures. You do what is expected in the other culture; you don’t try to invade personal space, and you make the other person feel comfortable and secure. In short, you should observe and learn how people use politeness to build and maintain relationships and then try to do the same yourself. Question 2: Why are many non-native speakers not aware of these mistakes? “Unfortunately, polite English is an area that is often overlooked in English classes at school. It’s true that you learn the basics such as “please, thank you and excuse me”. However, polite English goes much deeper than that. In English classes, the aim is linguistic fluency: being able to express yourself which involves having a broad vocabulary and mastering grammar. 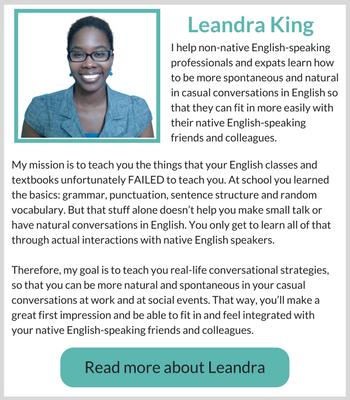 “Many English learners struggle to communicate effectively with native English speakers. They have a strong awareness of grammatical structures and a wide range of vocabulary, but they are not aware of what is appropriate in specific situations. What may be appropriate in your culture may not be appropriate in another culture. Which is why you need to become aware of the sociocultural aspects of communication in English. Question 3: How can unintentionally being impolite or not polite enough affect you? In English, we use the expression: ‘it’s better to be safe than sorry.’ Using polite English is usually a safe option when you are expected to use English with people you don’t know very well. Most native and proficient speakers of English will respond in a positive way if you speak politely because it shows that you are being considerate and respectful. This is especially important in formal situations in which it’s very common to say the wrong thing without realising your mistake. What are some things to avoid doing if you don’t want to be seen as rude? How can you be more polite in English? 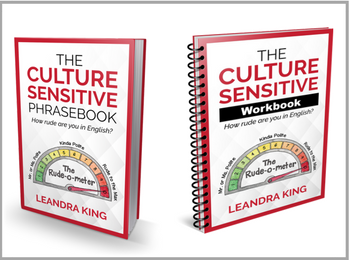 Check out The Culture Sensitive Phrasebook and the accompanying workbook to learn expressions you need to use if you want to be more polite in English and avoid offending native English speakers. 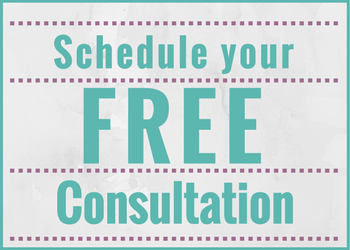 If you found this article helpful, I’d be so grateful if you could share it with your friends by clicking on one of the social media icons below. Thanks in advance!